Our next show will be on the 1st May at Pizza express in Holborn. 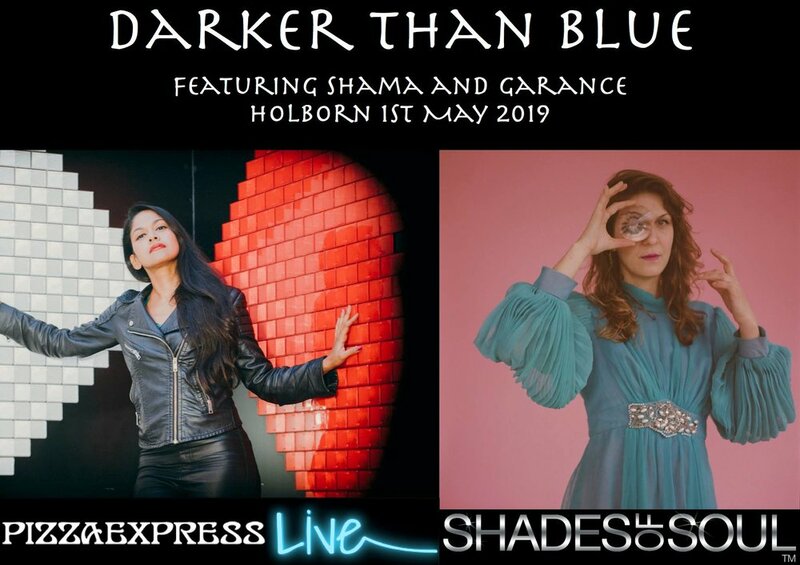 Playing on the same bill of the amazing Shama Rahman and we are very exited to share the stage with her! We’ve been nominated as the best artist of 2019 on the Songlines music awards !!! But it all depends of your votes!!! you can click on the link below and vote for “Garance and the mitochondries” Balance l’aurore on the best artist categories!! We have started a new band with some of the Mitochondries and it is called CHEWY SHE! And we are playing on Thursday 6th December at SET with as well on bill the French legend Mathieu Boogaerts and the dreamy Sarah Johns Music party! We will be playing on the 27th November at Balabam with a 4 piece band!! It is been too long we haven’t played in London!! So we’re really exited about it and hope to see some of familiar faces on the night :) ! few weeks ago I played a gig at St Pancras Old Church supporting Oly Ralfe for his album launch’s, and it was a magical evening . "The evening’s support act, French singer and accordionist Garance Louis, shares this original, immersive and conversational attitude to live music. Her gutsy, high-energy Francophone songs are given an extra dose of intimacy by her surroundings. The results are approachable but highly accomplished.[..] Her songs sound both tender and bawdy, a combination of chamber-pop and chanson.[...]" The download of the Live recording of our track 'Aye Aya' That we played at the Total Refreshment center for our album launch with the 21 piece band! You can give us donation or download it for free from this link! It is the perfect track to make a ratatouille! It doesn’t last until the ratatouille it is completely cooked but it will definitely last the time it take to cut the vegetable put it in the pans and have time to have a glass of wine while is cooking! SO HERE IS A RECIPE that is not as tropical as the track but almost..
Add salt and pepper and cover it up and don’t touch it for 20/30 minutes in low heat. Above ALL DO NOT STIR WHILE IS COOKING! Leave it as it is in layers and it will cook it is own.. I did a little interview for Joie de Vic on Soho Radio, talking about my busking adventures around the world and where it all kicked off musically. Making the most of this summer! Omg! Our new album has been listed on the top 10 best new album of Songlines Mag new issue! "The genres dipped into are familiar, but it is the idiosyncrasies that this French singer, composer and accordionist brings to her waywards waltzes , slippery chansons , and teetering tangos that holds the attention. Thanks to her musical ambitions, Garance's second album is a sprightly and atmospheric pleasure from beginning to end. [...]"
Les genres qui y sont plongés sont familiers, mais ce sont les idiosyncrasies que cet chanteuse, compositrice et accordéoniste française apporte à ses valses rebelles, ses chansons glissantes, et ses tangos titubants qui retiennent l'attention. Grâce à ses ambitions musicales, le deuxième album de Garance est un plaisir enjoué et atmosphérique du début à la fin. Et même si il comprend quelque 25 musiciens, il y a beaucoup de lumière et d'espace entre les cordes nostalgiques évocatrices, les cuivres enjoués et la présence occasionnelle du triangle. Cependant, je ne suis pas sûr que les nombreuses comparaisons d'Edith Piaf que Garance semble avoir reçues sont tout à fait exactes. Les deux chanteuses sont françaises et certains de ces titres sont des chansons, mais Piaf a une râpe, un vibrato et un volume qui n'a rien à voir avec le style plus léger et plus intime de Garance sur des petits titres vifs comme "Un Nid de lit". et le chœur céleste. Et puis, juste quand on s'est familiarisé avec l'idylle de Halcyon étant présenté "Velour Noir" apparait avec un disco strident et une guitare déformée fâchée. La théâtralité évidente peut devenir fatigante, mais Garance l'arrête en laissant ses arrangements nuancés et originaux servir ses chansons plutôt que d'être au centre de la scène. "It is a nicely eclectic eccentric and unpredictable set with 25 musicians [...]Garance's high, light voice flots over it all supplying a fine cohesion to all the disparate arrangements"
We are all over internet! We are now 3 days away until our album launch at the Total Refreshment centre with a 20 piece band ! Like the old French chanson! Involving a string quartet, a brass section , some backing vocals , percussionists and more ! Check out our new Official video from our track "un nid de lit" part of our new album "balance l'aurore"! Thank to Cerys Matthews to have played on of our track " colibri" from our new album on BBC6 last Sunday ! if you click on this link you can pre-order our new album ! VIP! I am so thrill and exited to announce that's our new album is finally finished !! We are going to release it on Thursday 3rd May at the amazing venue : Total Refreshment centre. It was a pleasure to play for Sofar sound in London. Some of you may already know that we run a monthly residency at the Jamboree venue in Limehouse. if you don't, You will be able to see us there every last Monday of the month with some musical friends and guest!